The Beacons are lit! Gondor calls for aid. 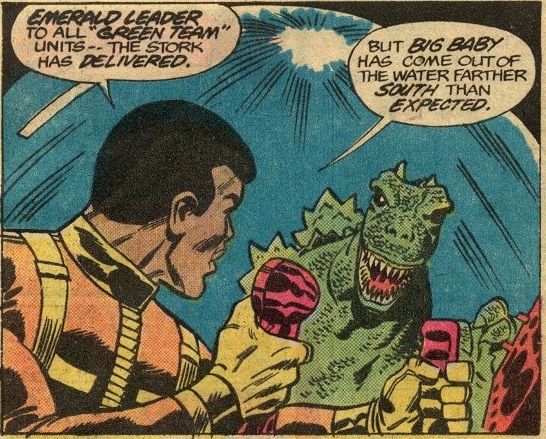 And Godzilla will answer! Seattle under siege! Godzilla has popped out of the ocean near Seattle, still angry with pain from the big laser he was blasted with in issue #1. A wounded animal is especially dangerous, and a wounded Godzilla is like armageddon had a wounded baby. Or something. 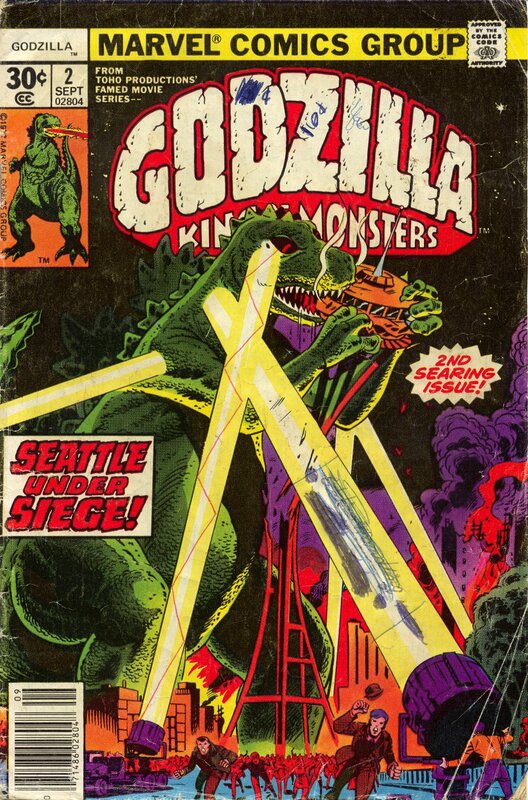 But the point is, Godzilla is mad and now Seattle is going to pay the price! Gabriel Jones makes his first appearance as a member of the newly formed Godzilla Squad. That’s the official designation for the team lead by Dum Dum that will be tasked to stop Big G from trashing the entire country. Nick Fury is busy. Doing things. One eye things. Don’t ask about Nick Fury. 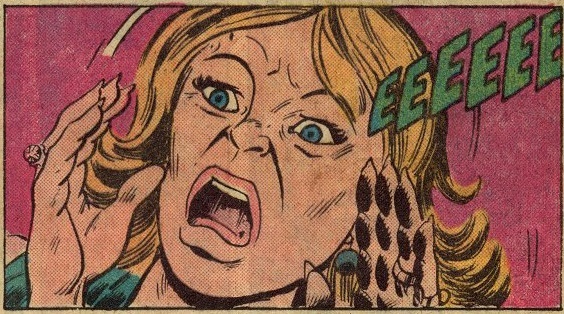 He tried to talk to me about Godzilla comics! 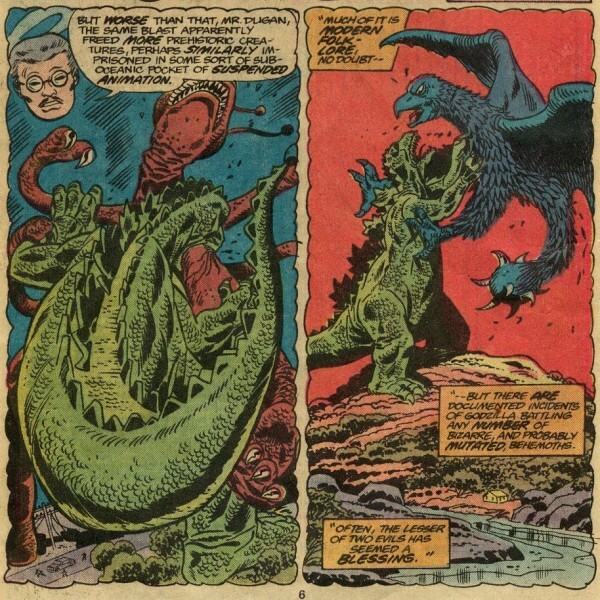 We get more back story of Godzilla’s origin, showing Godzilla battling a red four-armed tyrannosaurus with eye stalks and a blue giant bird/roc with a spiked club for a tail. I want to see these battles! Both monsters are postulated as mutants that were awakened by the nuclear explosion like Godzilla. This is a cool potential origin for more monsters, but only one future monster uses this origin, and it comes from a different nuclear explosion. Big Baby, huh? Let me show you my diaper, human! Tamara Hasioka says Godzilla is like a natural force – not good or evil. This I believe is the first time Godzilla is explicitly mentioned this way, though some of the later 1970s Godzilla films sort of imply this. Robert declares that Godzilla is good because he’s saved Earth from worse monsters. Robert is like the Kenny of the Godzilla Marvel series. Godzilla Squad dresses up using new spanflex armor, while Tony Stark is name-dropped constantly (he is building all the fantastic weapons that will continually appear throughout the series.) Besides this issue, I don’t think the term “spanflex” is mentioned again. Where will Godzilla pop up next issue? Will Godzilla’s attention to the West Coast prompt a rival East Coast monster to diss Godzilla in a rap song? Find out soon! Basically they are hitting Godzilla with boxes! 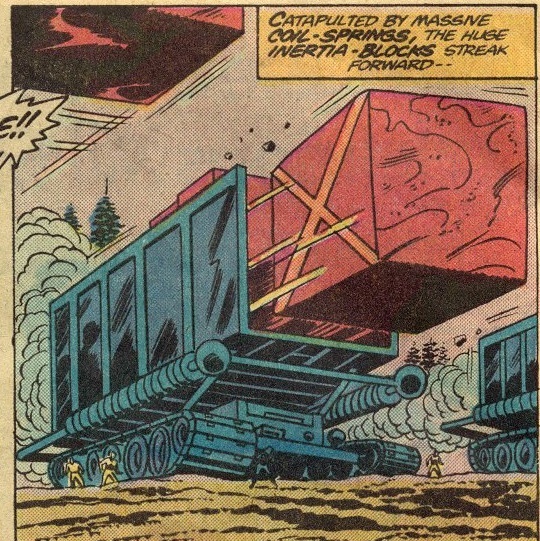 Tars have you ever read the comic Terror of Godzilla? 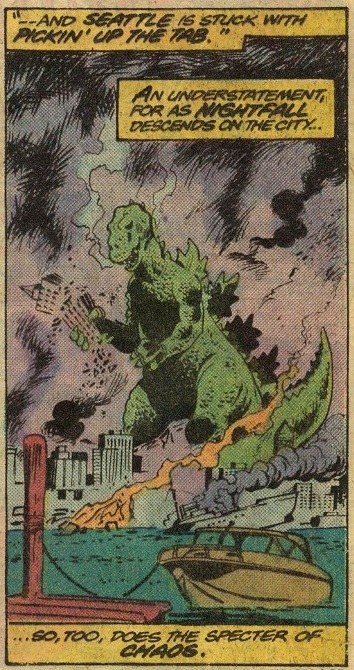 Its from dark horse and its based on Godzilla 1985. Also whats your thoughts on Godzilla 1985 the film? I’ve not read much of the Godzilla comics outside the Marvel ones and a few of the newest series. Hopefully Godzilla 1985 will get a proper review this year, assuming I can find my disk of the Japanese version, so I’ll hold off until then. But I do like it.